Last January, China’s Ministry of Agriculture issued its “National Alfalfa Industry Development Plan (2016-2020)” that sets a goal for the country to produce 5.4 million metric tons (MT) of alfalfa hay by 2020. In 2015, China’s annual production was only about 1 million tons. 1. Northeast China and Inner Mongolia: The focus of this region will be on having hay and grain planted in a rotation, and with hay used for local cattle and sheep feeding. 2. Northwest China: As this is the traditional hay planting area, the focus will be to strengthen commercial hay processing and production. 3. North China: The focus in North China will be to develop areas of commercial alfalfa and oilseed production and reduce the amount of grain production. 4. South China: The focus in South China is to develop alfalfa silage. 1. Develop new and improved alfalfa varieties. 2. Enlarge the production base to 988,000 acres for high-quality alfalfa hay. 3. Improve mechanization for hay planting and harvesting. 4. Build 500 dairy/hay integrated farms. Currently, the Chinese government is providing $44 million annually to support the growth of the domestic alfalfa industry. The need for additional alfalfa in China is largely being driven by a growing dairy industry. Though there are 15 million dairy cows in the country, only 1.5 million produce 18,000 pounds of milk or more annually. China’s goal is to grow the number of high-producing dairy cows, which will prompt the need for more high-quality alfalfa hay. USDA’s GAIN Report notes that industry analysts estimate China’s dairy feed sector needs 5 million tons of high-quality hay and 10 to 20 tons of lesser quality hay annually. The need for high-quality hay may bump to 8 million tons by 2020 if the country’s dairy industry grows as planned. Shipments to China account for 45 percent of all U.S. alfalfa hay exports. 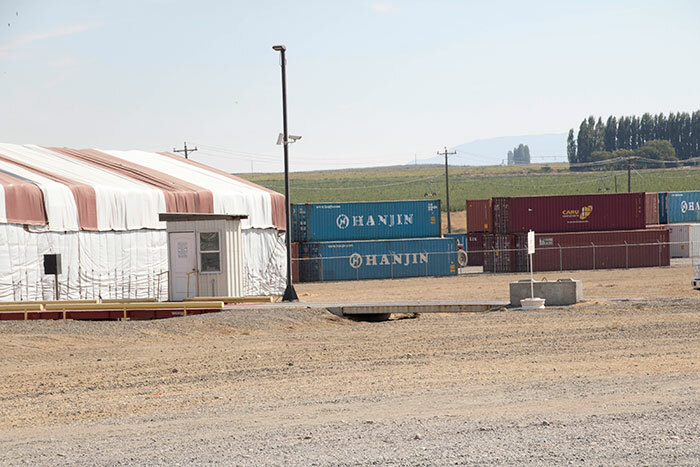 Of the total amount of all hay types imported by China, 78 percent comes from the United States, so how China moves forward will largely dictate the state of U.S. alfalfa hay exports. In 2016, the U.S. exported 1.29 million MT of alfalfa hay to China, up 23 percent from 2015. Alfalfa hay exports to China during the first four months in 2017 are up another 19 percent from 2016. Even with the expected growth in the number of dairy cows and alfalfa acres in China, the projected need of 8 million MT of high-quality alfalfa hay by 2020 should still leave plenty of room for U.S. product. This is especially true in the short term. If dairy growth outpaces alfalfa production in China, the need for high-quality U.S. alfalfa may actually rise.